Financing | Perry Hood Properties, Inc.
Perry Hood Properties, Inc. encourages you to consider one of our proven home mortgage lenders conveniently located in the Tulsa Metro area specializing in Conventional, VA, FHA and 184 Native American home loans. 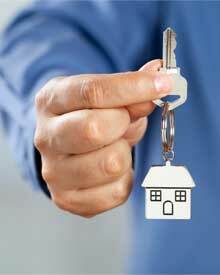 One of the worst things that can happen during the home buying experience is being told “no funds, no keys”. Not being able to close on time or at all due to financing failure can be devastating. Perry Hood Properties, Inc. preferred lenders are committed to making your home financing process smooth, surprise free and on time. You can be sure that they truly understand Perry Hood Properties and the type of financing that will work best for you. Perry Hood Properties, Inc. does not have a financial affiliation with any lender, just years of experience and knowing what works. Proven lenders equal successful, timely closings.